You must make reservations at least 5 minutes in advance of the time at Nick's Riverside Grill. Underground Garage located at 30th and K Street. It is part of the complex but we do not validate. K St also offers street parking. Foggy Bottom and Rosslyn Metro stations are a ten minute walk from the restaurant. Valentines Day is fast approaching and our chef has created some amazing specials just for you! Join us February 10-14th and try out something new! 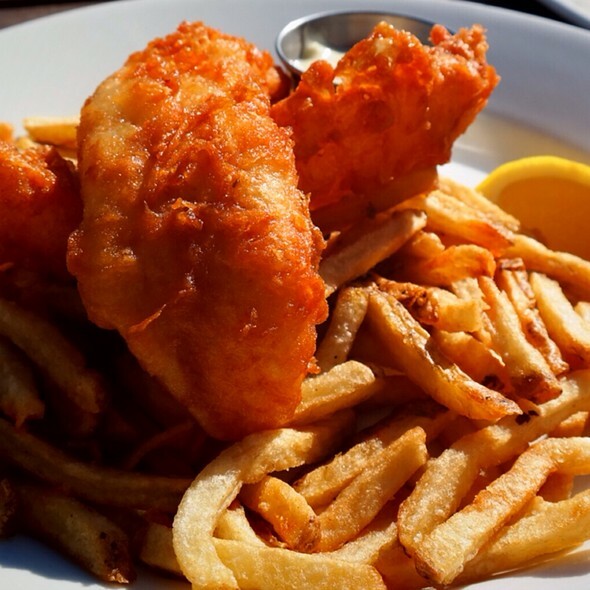 Whether you are looking for a quick bite to eat after work, a fun place for all the friends and family to gather or a romantic night on the waterfront, Nick's Riverside Grill is the place to be. 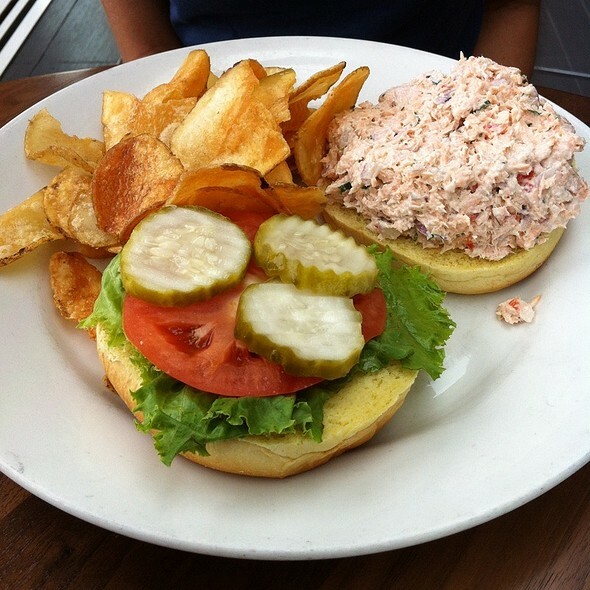 Our seasonal menus offer everything from fresh seafood to hand cut steaks as well as our signature Crazy Big Nachos and Jumbo Lump Crab cake Sandwich, which means there is something for every one and any appetite. 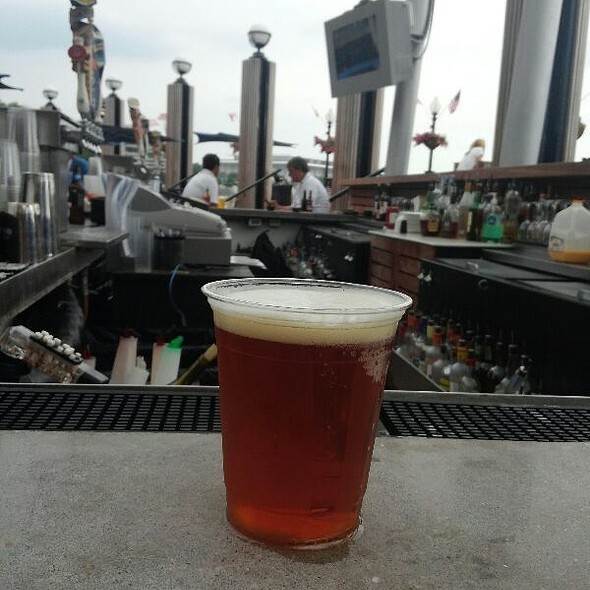 Join us for Happy Hour Monday through Friday from 4-7 pm at our inside and outside bars and take advantage of our $5.00 draft beers, rail liquors and house wines as well as .50 cent wings. Or reserve space with us for a large party from bar parties, corporate dinners, holiday parties, rehearsal dinners, or any other large function you have! Parmesan cheese, creamy caesar dressing, croutons (GF) no croutons. Angus NY Strip Steak 10 oz. Atlantic Salmon Filet 7 oz. Join us Thursdays for the month of February for 1/2 price bottles of wine, (selected wines) ALL DAY!! We are now booking happy hours OUTSIDE Monday thru Wednesday. $5 drink specials from 4-7pm. Call to book your outdoor happy hour. 4pm-7pm at the inside and outside bars. The place was noisy but it was Friday night. Our waiter was super helpful and pleasant. The steak was perfect, veggies just right. Food was average at best and very overpriced. I wish I had my kids grilled cheese because my salad was the most bland thing I had ever tasted - absolutely no seasoning on the chicken and no salt/pepper available on the table. Husbad was upsold on the "old bay fries" with his fish and chips and never told of the increased price. They just dumped old bay on top of the fries, not necessarily a "style." In Maryland, Old Bay is usually just a condiment available on the table. His fish didn't look freshly battered, more like frozen then fried. Kids grilled cheese was the best entree. The wait was exceptionally long for reservations (26mins) and a bit disorganized but after getting a table and being seated, our server was extremely nice, attentive, and swift! Food was not worth the price. Service was good although utensils were not brought out until the main course. Server was kind and was always present. No ambiance whatsoever. It was dirty. Menus weren’t wiped down. Tables were haphazardly wiped off. I just didn’t get the impression that food prep was treated any differently. Was it busy? Yes. But that’s no excuse for lack of cleanliness. I don’t generally complain on public forums but this place needs to be visited Unexpectedly by the board of health. Crowded. Quick service all around. Tight seating. Everything was ‘just ok’ with the exception of the service being below average. The value for the food was better than I expected and the food was good, just nothing that will make me make sure to come back. Dropped in here after a boat tour. Had little to no expectations except to have a casual meal with my family. Every small change we requested on a menu item was met with a "No" or an unreasonable up-charge. 1. Can you put chicken in this dish instead of shrimp? "Yes, but it will cost you $6 extra" (makes no sense considering chicken is cheaper than shrimp). 2. Can I have tater tots instead of fries? Answer was no (here is where I would have expected an up-charge but got a flat out no). 3. Can I have a straw? "No, we don't have any". (I understand phasing out the use of plastic straws for the environment but paper straws would pose no hazard). 1. Ordered iced tea. Had two glasses. Both of them arrived with little to no ice cubes left because the tea was so hot. 2. The food took forever to arrive. 4. Found a long hair in my food. Waitress offered to get another sandwich but we had already waited so long for our food I didn't want to do that to my family. Waitress should have offered to take something off of bill or give a free dessert. 5. Sat around for about 10 minutes waiting for waitress to run credit card. Please note: the place was not busy at all. Bottom line, I would not go back. Real waste of space in such a great location. It was a high energy place. Service was spotty. Classic tourist trap. Overpriced. Slow service. To give you an example, our drinks (tap beer!) came 10 minutes after our appetizers. Be aware that they don’t allow splitting bills, so be prepared with cash, or that only someone from your party puts the bill on their card. Will avoid next time. Great food!! Service was okay, seemed like a new waiter getting the hang of things. Sat outside. Waiter was very accommodating for my 3 kids. 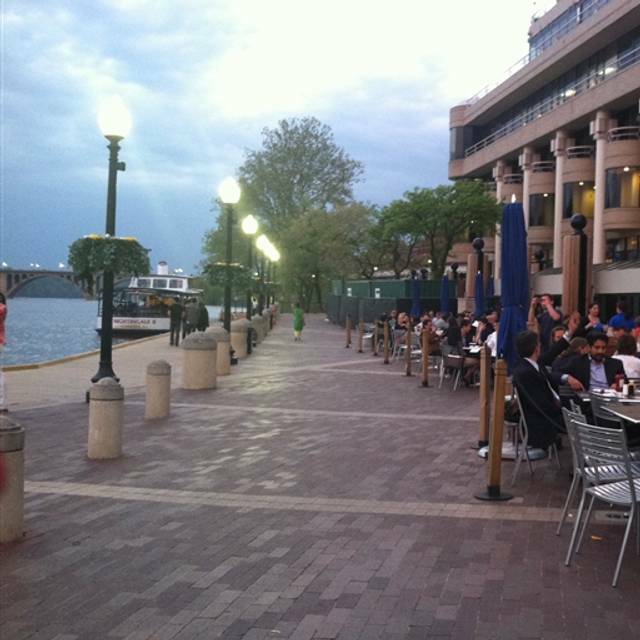 A beautiful setting to dine outside on the Potomac River! I found a bug in my salad and the waiter did nothing. The service was extremely slow. We celebrated a birthday and St. Patrick's Day. Ambiance and food was great! It’s was my anniversary dinner and we were running extremely late for our reservation. We arrived and were still seated. The ambiance was exquisite the food was amazing the drinks were on point. I would highly recommend the lemon rosemary chicken with the potatoes and string beans and carrots. The absolute most juicy flavorful chicken u would want to try. 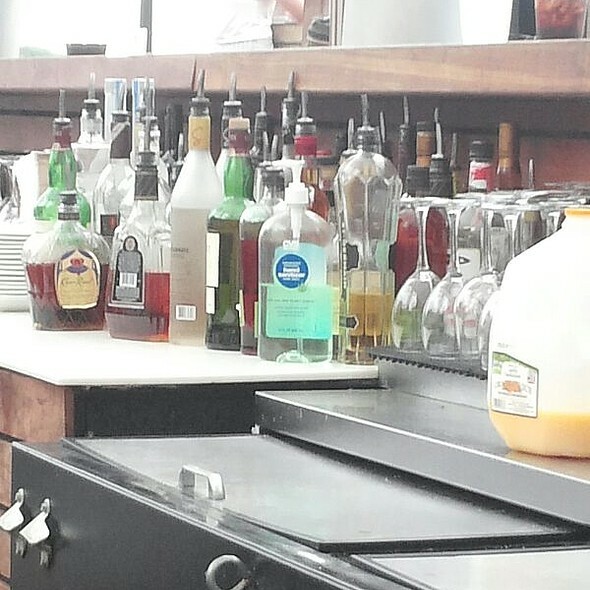 The drink I would recommend is the rum punch. This was an amazing experience to dine there. The staff was the absolute best. Thank you again for making our Anniversary one we will never forget. This was an unexpected surprise! never having been in this part of town before we randomly picked a place for dinner before walking to the Kennedy Center for the preforming Arts. Sitting outside by the river was relaxing and the food was very good. Food was excellent...service was very professional. Great location. Really nice evening. Katherine was our waitress, and she was great. The food is mediocre at best, slightly over priced. The calamari was half rings, half tentacles. If you like tentacles, then this is the app for you. The wings, came late, more like dessert, flavored well, but husband felt were slightly undercooked. I got the bison tacos, that came with a slice of watermelon? Spicy and flavorful, think spicy sloppy joe. The biggest failure was the fish and chips. They looked like chicken tenders. So essentially fishy chicken tenders. My husband felt sick after and couldn't finish it. And this man eats EVERYTHING. Overall unimpressed. Would only recommend for outdoor drinks in the summer. 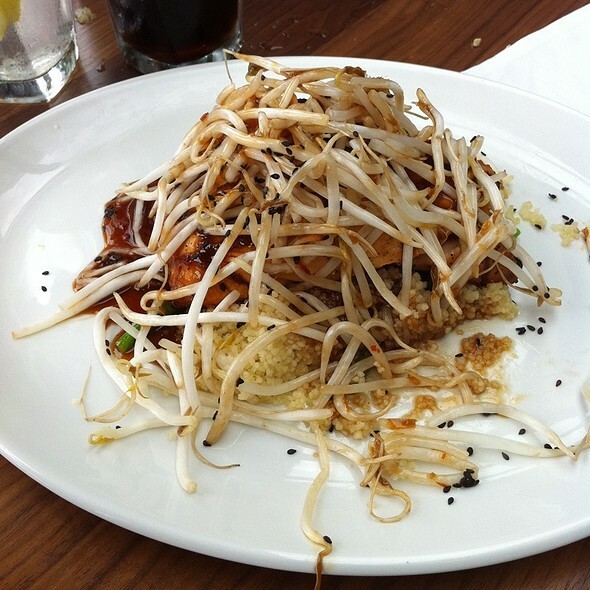 I picked Nick's for the waterfront location, but was pleasantly surprised by the food and the service. While Nicks is essentially a sports bar, they exceed sports bar expectations. The food was good (especially the salmon). I would eat there again! Ate outside by the waterfront, was very nice! The food is good, they also had live music. Will not disappoint. Usually love this spot for the river view, but unfortunately the flood walls were up, closing off our view. Our waiter was amazing! He was very friendly and ergent. 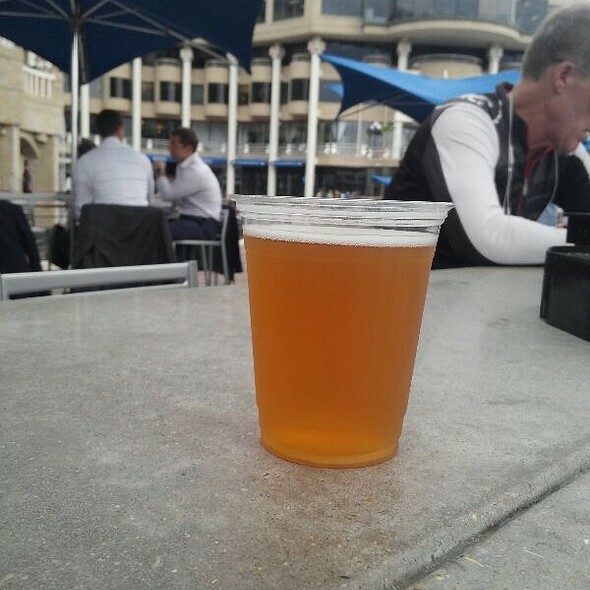 Nick's has a great location on the waterfront. The outdoor dining faces the courtyard and the food is really good. The staff was prompt and accommodating. They let us know when there was a thunderstorm in the area and gave us the option of moving inside or under the building overhang. We opted for the building overhang and had a fun time watching the light show. Made a reservation, was seated early but waiter was unfamiliar with menu and specials, food took over 45 minutes to be delivered even though there were only a couple tables in the restaurant. Other tables who arrived after us and seated around us had food delivered even though we arrived earlier and only ordered sandwiches. French fries were cold, condiments provided were empty, had to request items that were listed on the menu but not delivered ex baguette bread with the andouille and shrimp broth appetizer. Restaurant charged to add iceberg lettuce and slice of tomorrow to child’s cheeseburger or told us we had to pay for an adult burger, unable to split checks... I asked to speak to a manager and told she was too busy and then was ignored and then had to request a second time after waiting 10 minutes. After requesting the check it took 10 more minutes to receive the check and then we refused to pay automatic gratuity because of how awful the overall service was. The manager did absolutely nothing to apologize or make the situation right. Extremely disappointed and will never go back. Terrible!! Do not go if you are expecting good service or to be treated well. Food was good. Atmosphere great. Service was below average the day we were there. An enjoyable dining experience but a bit noisy for the seniors crew. Food was good, service acceptable. Very loud, we were sitting so close to other diners we could hear their conversations. One weird thing happened, a diner next to us was served a medium well steak when he ordered a medium rare steak. I saw the steak (sine we were so close) and it was definitely not medium rare, so he sent it back. The waitress came back and said the chef said it was cooked correctly...WHAT? I have never been to a restaurant where the chef disagreed with the customer. Needless to say, the manager got involved and I think all sides were satisfied. But the gentleman did not get to eat at the same time as his family. Otherwise, the restaurant was okay. We were there only because we were going on a cruise afterward. This place was extremely loud and a little dirty. The food was only ok, but not worth the price. It was our anniversary. I tried to request outdoor seating but was placed in a small patio far below looking out onto the water. We were also told they could not seat us (even on the small empty patio) because the kitchen was backed up. I tried to negotiate with the young lady at the desk but that did not work. After dinner we went for a walk and found the larger patio up the stairs out by the water with plenty of open tables. Very disappointing anniversary dinner. Oh!! Why do we click on special occasions when they make no acknowledgement of it. Nice river front location. Very impressed with the mussels. Perfectly cooked and cleaned. Loud and casual environment. The noise of children and sports fans in the bar was more than I would choose, but the food was solidly executed. Nick's Riverside Grill was a disappointment. 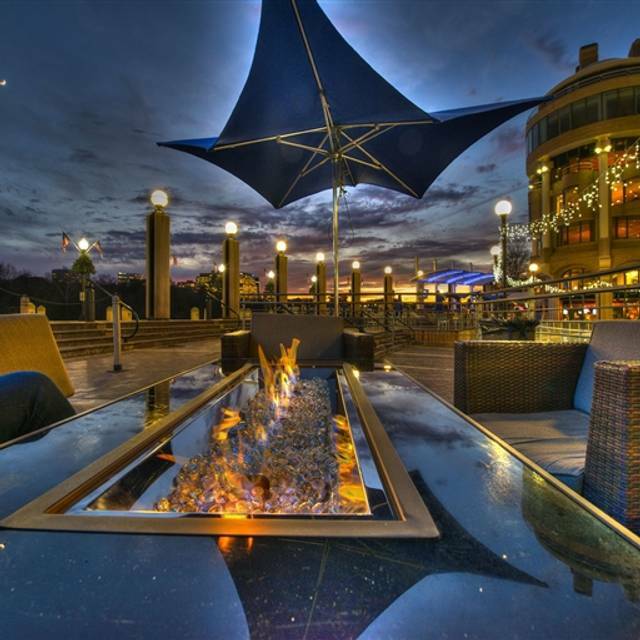 It is in a prime location on the waterfront in Georgetown, and it's very expansive, large indoor areas, bar, upstairs, and a big outdoor patio. On a Saturday at lunch time in was nearly empty indoor and sparsely filled outside. Perhaps because the food is just so-so. Service was friendly, but a bit haphazard. All items ordered had 'odd' twists to them. An appetizer of edamame - typically steamed and maybe salted - came with a spicy sweet sauce poured over them, making them nearly impossible to eat (VERY messy to pick up, which is the only way to eat edamame) and did not work at all with this normally delicious legume. Shrimp cocktail - the prawns were indeed large. But again, not sure what the sauce concoction was supposed to be. Over sweet and overwhelmed the shrimp. They were better with just lemon squeezed over them. Nachos - obscenely huge portion - suited for about half dozen people. The chips were not fresh. Stale or soggy where sauce touched them. Really a big mess. We will not bother coming back. There are many better options around town. Great views and very tasty food, I will definitely return for other menu items. The food was excellent. We loved the steak and the salmon. Well seasoned and perfectly done as requested. The only thing we didn't like was the noise level; it was difficult to hear each other. Showed up on time for our reservation, but had to wait 15 minutes to be seated. When we were finally seated, I saw 7 or 8 empty tables that just hadn't been set yet. As for the food, the bison tacos were excellent, but the baby back ribs were extremely dry. The server was mediocre. The Saturday night crowd was similar to what you would expect to find at Hooters. My sangria was ok, not bad but nothing special. I think this place is more of a meat market than a restaurant, at least on Saturday night. Perfect for sitting along the water. Not overly pricey but good food.